I don’t work for City government, but I do know many of the top-notch public service professionals who do. Sure there are some people there who need to find something more suited but no more or less than any organization, large or small. I know City government professionals hold themselves to a higher standard and no one more than the City Manager. Let’s not kid ourselves--Durham couldn’t function for 10 minutes, let alone be one of the top places in the nation to live and do business, were it not for City government. Water, sanitation, fire, police, parks, streets... so why is it that when the City of Durham makes a mistake, people turn into playground bullies and treat it differently than similar gaffes in any organization, including other cities and towns? Even some officials we hope would protect and foster that organization feel the need to pile on. Let’s get real and get off the City Manager’s back. Let him do his job. Let him make the changes he’s trying to make. Let’s not distract him every 10 minutes with hyperbole and finger-pointing. He’s the chief executive under our City’s charter, and he deserves respect. He has more innate understanding of management in his little finger than some of his critics do. Even if he didn’t, who deserves public humiliation with condescending remarks, like sending him to management school? And the next time a finger even twitches to the pointing position, let’s demand that person walk a day in his shoes... better yet, let’s make the punishment for acting superior a day working the counter at McDonald’s. I can guarantee that would instill humility and an appreciation for what it takes to make things work that are taken for granted every day. And yes, that includes news media from other communities and non-resident louts around the water cooler who feel safe to cop an attitude with Durham that they obviously don’t dare take in their hometown. It is often said that marketing a community is a lot like marketing any other product, and that's true. But it is also much more complicated, especially in a community as complex and outspoken as Durham. We'd like to root out some negative word of mouth in nearby communities, but it's more like dealing with family than a competitor and takes just the right balance. Then at home, it is more like friendly fire. There are always one or two people, usually with no communications background, who think we're being too strong or too soft or too paranoid. And then there is always one or two "can't we just be positive and it will all go away." I wish. While it's our job and our experience and background and our tushes on the line, it is important to remember there is always a both/and. Here is the latest incarnation of a document that came from a visitor turned newcomer years ago. One threat destinations have in common is the brand for travel and leisure in general. I often read a guy named Christopher Elliott, both on MSNBC and his blog. If he is only half-accurate, he is putting his finger on a threat that impacts each and every visitor destination community, and that is recent degradation of the brand for travel and leisure. Typical is this column on six double standards that travel-related industries must fix. Another is six airline ticket rules you should know. You should read this guy. We all have issues to resolve to improve the post-arrival visitor experience. But the community's brand is impacted just as much by what happens on their way here and on their way home. 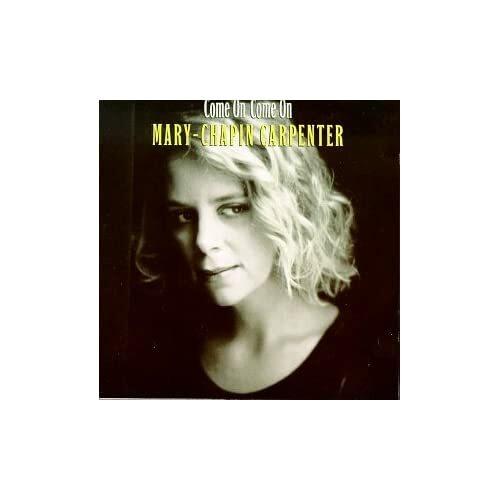 A good friend commenting on my blog about "smells" brought to mind this song by Mary Chapin Carpenter. Understanding my passion for "place branding," she brought it to my attention many years ago. It reminds us all that branding a place isn't just a logo and a tagline. It is about the values and personality for which a place is or wants to be known. This song captures a good deal of the part of North Carolina that is genuine and authentic. I am weeds between the graves. 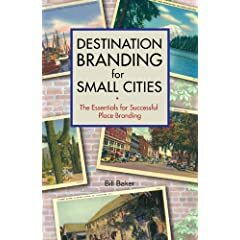 I am Pabst Blue Ribbon, American, and "Southern Serves the South"
Bill Baker of Total Destination Management has just published a new book called Destination Branding for Small Cities. You can get a quick preview on Amazon.com. Wow, do I wish I had this book 30 years ago. I think Bill titled it for small cities so they wouldn't presume it was beyond their reach. Smart move because many do presume it is, but this book is perfect for communities of any size, even sub-elements of a community like districts or neighborhoods. The road maps he provides to distilling a community's brand are invaluable. So many people, even after scores of patient explanations, still think a brand is a logo or tagline or something you buy off the shelf from an advertising or PR agency (although services like those can be very useful in deploying a brand, especially if the destination marketing organization doesn't have specialists on staff or needs assistance). For the attention-deficit crowd, logos and taglines are obviously the most visually intriguing elements of a brand, but they come last not first, and they are only a signature. Place branding is a specialty... much more complex in many ways than branding of services or products. It is a slippery slope once a community sets a course to reassess or distill its brand. Durham was lucky to find Bill Baker. He isn't pretentious. He listened. He adapted. He wasn't afraid to tell us what we didn't want to hear. He wouldn't let the process be politicized. He was patient with process, and Durham required and deserved a very thorough process. He drove me nuts sometimes. But he takes so few clients that Durham was exceptionally fortunate. The fact that he has put so much of the process in a book like this doesn't mean a place branding specialist isn't needed to facilitate the actual process. It just means the process is easier for stakeholders unfamiliar with marketing or fearful the outcome won't be what they have "predetermined."